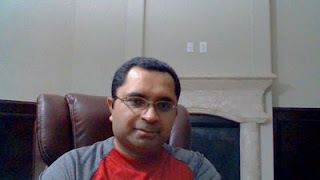 I am Dr. Harish Malik and I am a Medical Doctor from India with 10 years of Experience Tutoring for the USMLE Steps 1, 2 CK, 2 CS, Step 3, COMLEX Levels, Medical School NBME Shelf Exams. The USMLE, COMLEX, NBME Shelf Exam and Individual Medical School subject Exams tutoring is available Online as well as In-Person in a one-on-one setting. Failing on a USMLE Step or a low Score on a previous USMLE Exam is not the end of the Road for you if you are willing to learn from your mistakes and change your attitude,knowledge and Skills, overcome your fear of the USMLE Exams. If you are willing to put in the effort, time and money needed to take on the USMLE Steps one last time with the help of our Best Tips, Guidance, Tutoring and Mentoring provided by Dr. Harish Malik, please call us at 803-493-5573 NOW to get started with your No strings attached Free Amazing Online 1-to-1 USMLE Tutoring session that will provide you with Expert Evaluation and Remedial Guidance in 2 hours. At Best USMLE Tutor we focus on learning and understanding the human mechanics using common sense application of universal physical concepts such as elasticity, compliance, gravity, time, space, energy and matter. Vocabulary building comes next as it helps improve a student's understanding of medical literature, medical text, and understanding of the words, numbers, images and sounds presented on a typical USMLE Step. The fundamental aspects of human body are then used to explain disease and management. Within a few hours, a motivated Best USMLE Tutor student is able to integrate their fragmented knowledge of medicine using a handful universal concepts and then they are taught as to how to apply these concepts to understanding the flow of information in clinical vignettes and dissecting and answering clinical vignettes becomes fun and second nature for our highly motivated students and typical score increase after first week is about 20 percentage points. How long it takes for a Medical Student or a Doctor to get ready for their USMLE Step 1, USMLE Step 2 CK/CS or Step 3 really depends on their start point which is determined by taking a thorough history. Most Best USMLE Tutor students have excellent prognosis, if they are able to overcome their fear and anxiety associated with taking/ retaking USMLE Steps and are willing to change their attitude towards the testing process and are physically capable of and welcome change. Most of my USMLE Steps 1, 2CK/2CS and Step 3 students report a "dramatic shift" in their Knowledge, comprehension, motivation, direction, self esteem, and Skill level in a matter of hours. All students have higher scores and very many students have improved 60-80 percentile points over a few weeks despite previous low scores or Failed USMLE Step attempts! The One-on-One USMLE Tutoring Sessions are highly adaptive and are conducted in a Very Personal and Individualized manner targeted to each and every Student's unique learning style. I have developed a Highly Effective FIDR (Focused Individualized Diagnostic and Remedial) method of teaching Medical Concepts which uses RLA (Real Life Analogy) approach to make the most difficult of the USMLE Step 1, 2CK /CS and USMLE Step 3, COMLEX and NBME Shelfs and MEDICAL SCHOOL Individual Subject Exam concepts seem incredibly easy! Best USMLE Tutor offers the Very Best Problem Focused High Yield Method of Mentoring that promotes Conceptual Integrative Analogy based learning which leads to a rapid score increase on Standardized Tests such as USMLE Steps 1, 2 CK and 3, COMLEX Levels, NBME Shelf Exams and Individual Medical School Subject Exams. I was lucky enough to attended one of the best Medical Schools University College of Medical Sciences, Delhi University, New Delhi, India and finished my medical education in 2000. I passed my USMLE Steps 1, 2 and 3 in 2004 and began tutoring Medical Students and Doctors for their USMLE Step 1, USMLE Step 2 CK/CS, USMLE Step 3, Medical School Individual subjects and NBME Shelf Exams and COMLEX-USA Levels 1, 2 and 3 in 2007. Tutoring for these exams is available exclusively in a One-on-One Setting via Skype from the comfort of your home or in person in Kingwood, a beautiful suburb just minutes from Houston, TX. Please Call BEST USMLE TUTOR at 803-493-5573 to learn more about RLA and FIDR USMLE Sessions that are Revolutionizing USMLE Preparation Globally or Please Leave your Name, Phone Number, Previous USMLE Step Scores and timeline to take USMLE Step 1, Step 2CK or Step 3, COMLEX LEVELS, NBME SHELF, MEDICAL SCHOOL INDIVIDUAL SUBJECT EXAM. Dr. Harish Malik will Contact you to tell you the BEST POSSIBLE HELP that WE CAN OFFER FOR YOU. USMLE, COMLEX, NBME Shelf and Medical School Individual Subject Exams Tutoring is available via Skype from the comfort of your home or In-Person in Kingwood, a beautiful suburb just minutes from Houston, TX. If you are struggling with or have failed any of these exams, I personally would like to invite you to schedule a 2 hour long absolutely free USMLE, COMLEX, NBME Shelf, Medical School non-judgmental and non-obligatory online Consultation to give us an opportunity to show you how and why Best USMLE Tutor is in fact the very Best in the business of USMLE Tutoring! I look forward to hearing from you and assisting you with all your USMLE, COMLEX, NBME Shelfs and Medical School individual subject Exam needs to help you achieve your highest scores!